The calling card for the Manningham Business Excellence Awards is Nominate, Participate, and Celebrate. And we’re getting to the part where we all get to celebrate. We get to celebrate all the fantastic businesses we have in the municipality of Manningham. We get to celebrate those who took up the call to nominate themselves for an award. And we get to celebrate the judge’s decisions and the winners on the night! The Manningham Business Excellence Awards is a stage upon which a wide variety of businesses can show off their innovation, technological prowess and how they contribute to the community. You have the chance to put on show where you came from, where you are now, your team, your most loyal customers. And it is a chance to show us all where you’ll take your business once you’ve won the awards, and have gained recognition for all your hard work. This award gives you exposure to not only the wider business community, but also to the people who live in the municipality of Manningham. Ask any of the previous winners, their business grew in leaps and bounds once they announced themselves as award winners. Their client base grew, and so did their vision of where they could take themselves in the next 5 years, or longer. It also adds that extra spark to your marketing. Calling yourself an award winner gives you significant social proof to the casual shopper. And it is an award which must be earned, through the powerful stories you share with the judges, through the application process, with support from some fantastic mentors. This is an award you can display proudly on your website, in the front window of your store or on the side of your car. And all of this, the mentoring, the judging, the being excited and telling your friends, all of it is going to culminate in a celebration this November the 15th. 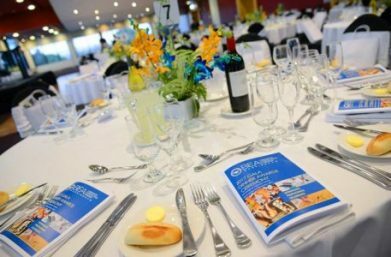 The Gala Dinner will be held at The Manningham Function Centre, 699 Doncaster Road, Doncaster, with great food and entertainment to be had. But not only that, the chances to network with fellow business people, make connections with the Manningham business community and potentially grow your business are astounding. Good luck to all our nominees, and see you there!